In December of last year, Ice had some very exciting news as we were announced the winners of the ‘Brand Activation as part of an integrated marketing campaign’ at The Drum UK Event Awards 2017 alongside Frukt, VCCP KIN, VCCP, Lida/M&C Saatchi, Forward Media and Hope & Glory PR. The winning campaign ‘10 years of The O2’ celebrated O2’s decade-long sponsorship with The O2 last summer in June. At the centre of the event was a giant 10th birthday present box, designed and managed by our very own brand experience Icicles. The O2 present box was the backdrop to a game show hosted by Vernon Kay and supported by Chris Moyles, which gave music fans the opportunity to win a range of fantastic prizes by taking part in the live show. The campaign was shortlisted alongside 3 other campaigns who were also in the running for the award. 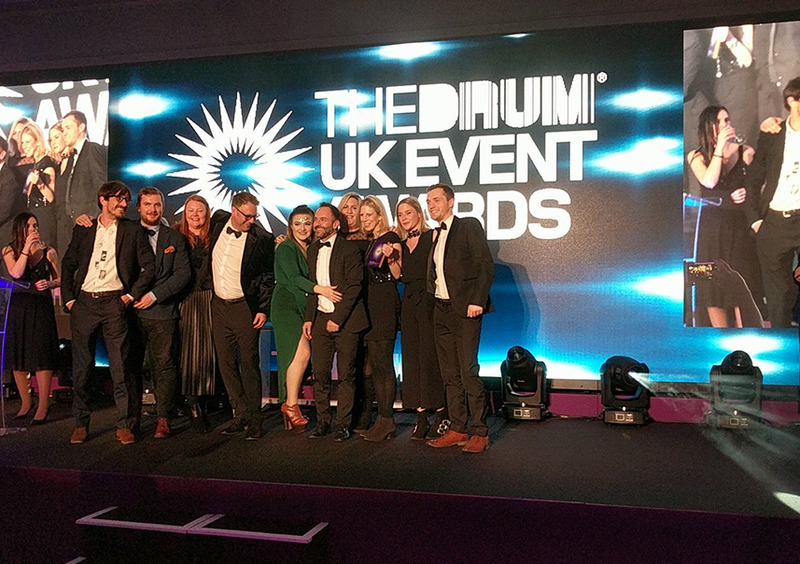 Emily Knapp and Tony Crafford, Directors of Events and Branding at Ice, attended The Drum UK Event Awards and accepted the coveted trophy on behalf of Ice at the ceremony which was held at The Marriott Hotel, London and hosted by comedian; Tom Ward.